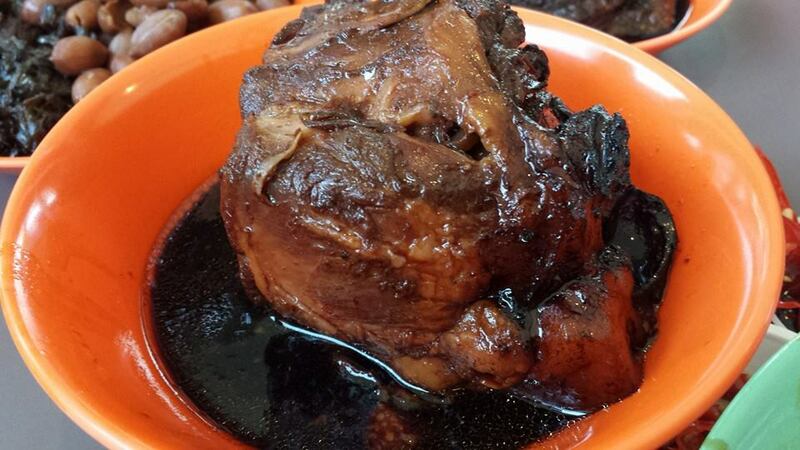 this time we tried the supposedly famours pig trotters at han jia bakuteh & pork leg. i wanted bakchormee so i skipped the rice & just had the trotters. according to my friend, this stall was quite good except that it was less good in the evening as the trotters got to be too soft. 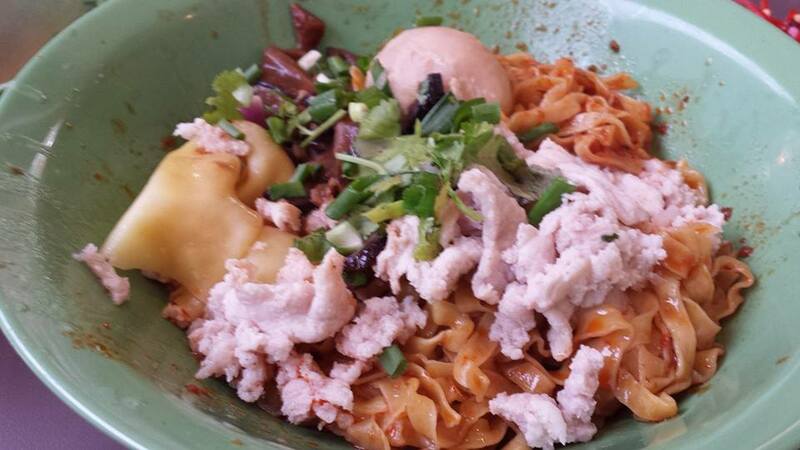 my bakchormee was ok but not of the standard of tai wah bakchormee, jalan tua kong lau lim at bedok simpang, jalan tua kong meepok tar at 6th avenue etc. 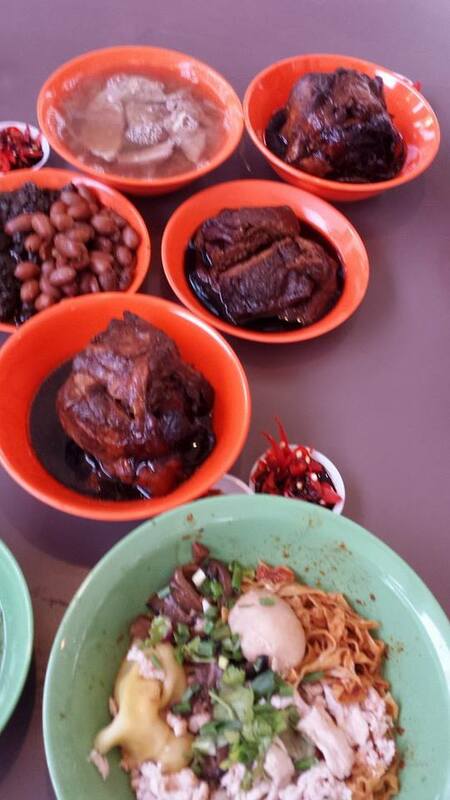 my 2 other friends ordered also taupok, chai buay + peanuts & kidney, liver soup. all were ok except the pig trotters. partly because we ordered the lean trotters, but this was way below the standard of any good trotters stall like ng ah sio bakuteh, song fa bakuteh etc. 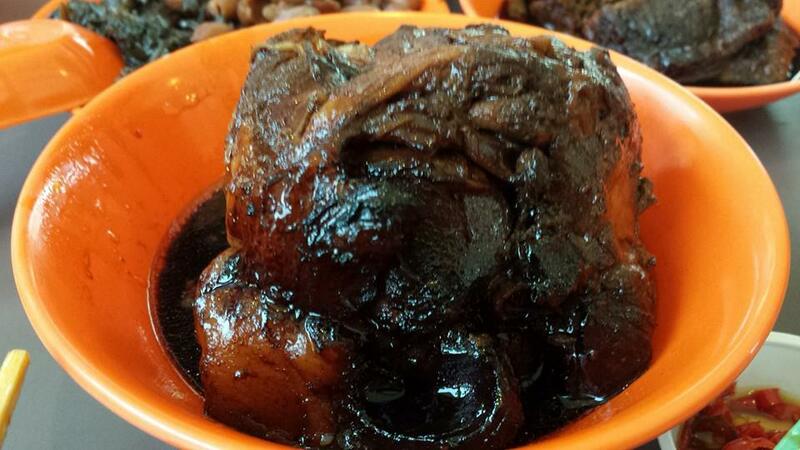 i had tried several stalls here after 4 visits including laksa, orh luah, satay, beef noodles, bbq chicken & now the pig trotters. except for the bbq chicken wings & orh luah which were good, i have to say that this food centre is way below par c/w with say maxwell road hawker centre, amoy street hawker centre, hong lim hawker centre & bukit timah food centre. 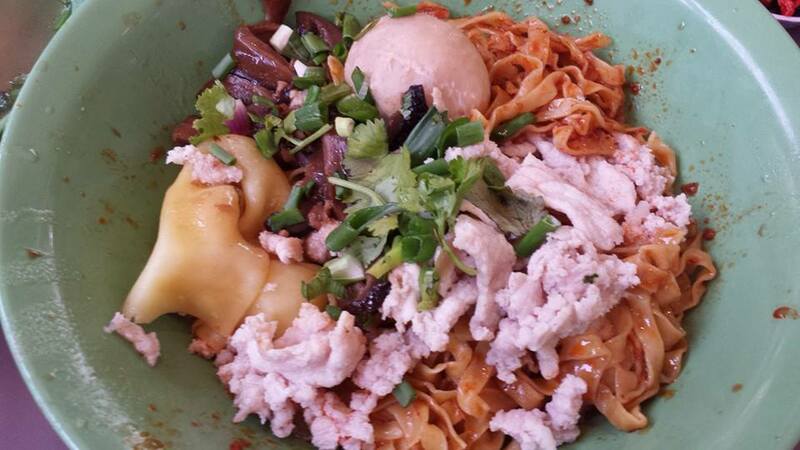 This entry was posted in Buon Appetito!, Hawker Food Tour & Hike in Singapore and tagged bakchormee, east coast lagoon food village, laksa, orh luah, pig trotters, satay. Bookmark the permalink.